Val is the Cabinet Member for Governance. She lives in Bilston with her husband and his son. She has worked in and been committed to the trade union movement for 26 years. She worked for UNISON – and was responsible for the union’s campaigning and political work across the West Midlands. 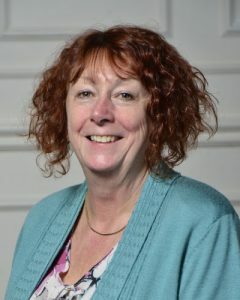 Val is a Governor for South Wolverhampton and Bilston Academy.Val is also the Chair of the Corporate Parenting Board, the Chair of the Children’s Trust Board and attends the Wolverhampton Safeguarding Children Board. In 2015 Val won the LGiU and CCLA Councillor Achievement of Year Award in the Innovation category in recognition of her work to improve outcomes for Looked After Children and increase the provision of local foster families. Click here to see which committees Val serves on at City of Wolverhampton Council and a list of any outside bodies Val attends in her capacity as Councillor. Meet your councillor – please ring/ email Cllr Gibson directly to make an appointment.